Wicker Park property boasts a diverse stock of building styles and price ranges. The broad variety of condominiums in the area range from rehabbed and vintage lofts, classic walk-ups, and new construction mid-rises and three-flats. The selection of single-family homes also ranges from up-scale new construction hitting the multi-million dollar mark, to older cottages that are often targets for tear-downs and gut-rehabs. The Wicker Park neighborhood also features an assortment of 19th century mansions with hefty price tags but sought after for their charm and intricate architectural detail. A casual walk up Damen Avenue takes you past trendy restaurants, record stores, lively bars, and expensive clothing boutiques. Independent art galleries, yoga studios and small but well-kept city parks are a neighborhood staple in Wicker Park. The area has gained a reputation for up-scale shopping along with a wide assortment of ethnic cuisine. The CTA blue line makes travel to the Loop and other parts of town convenient. Street parking is readily available off the beaten path away from the central three-way intersection of North, Miluaukee, and Damen. Evening drivers beware of heavy foot traffic shooting out of the one of many bars and nightclubs in the area, as well as roving groups of young road warriors enjoying Chicago’s well-known bicycling culture. Germans and Scandinavians settled Wicker Park after the Chicago Fire desimated the city’s housing stock. Learning from the mistakes of the past, residents chose to build broad-standing homes made of brick and stone. Pierce and Hoyne streets are ideal for viewing some of the historic properties of that era, though development over the last decade has transformed many of these historical pieces into two and three flat rentals. 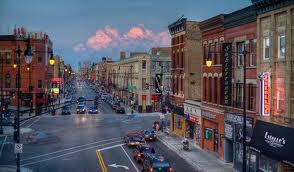 Wicker Park combines the old with new, offering a strong selection of condos and single family homes. The hardy assortment of housing has created an ideal environment for working singles, newlyweds and recent parents, giving Wicker Park a youthful vibrance and activity. One can expect to pay anywhere from $200,000 for a one-bedroom condo, $400,000 for a two bedroom, and 700,000 for a three-bedroom unit. For a detached single-family home you’re likely to hit the million-dollar mark.